I spent a total of ~4 months in the hospital last year. 3 weeks in August, and about 3 months from mid-October till mid-January. It definitely was a straining experience; a life-changing one. It almost felt as if I’m never going to check out. What I had back then is not important; it’s how I got through it all. I slept for an average of 5 noncontinuous hours a day. That leaves me with 19 hours. 19 hours, every day, for 3 months. Take a second to digest this, then answer yourself: how the hell am I going to get through that? “Just get through this thing”, you might say. And in retrospect, it doesn’t seem as frightening; it’s all a blur. Only I wish it was as simple as mere stating it. Visiting hours were constrained to 4 a day, and so it was the iPhone that made it all bearable. This is not a hyperbole; not an attempt to glorify a situation. Rather, it was (and still is) understated, how much that device got me through this thing. People who were following me on Twitter back then might remember my rapid nature of tweeting. Tweeting everything! It was as if having a couple hundred imaginary friends (except they weren’t so). I sent a tweet before my 1st surgery, and a tweet after. I tweeted about my situation, about my awful nurses, about missing Eid; I pretty much took a magnifying glass and laid it right on top of my room. Having Twitter was amazing, but it didn’t stop at that. The iTunes Store was my real form of escapism â€“ apps, games, films, music; I got so engrossed within this realm that it got me, more often than not, to shift my attention from my condition. If Morphine numbed my physical pain, the iTunes Store numbed my psychological one. A game of “Canabalt”, a quick round of tech news in “Reeder”, improving my kaleidoscopic sense in “Instagram”; I was basically shifting gears continuously. My mind became occupied. I am no longer bored nor alone. I constructed my first piece of music there, in the hospital, on my iPad. I watched the entire “The Walking Dead” series on my bed. I watched dozens of films as well, as renting films was effectively cheap and therefore keeps you coming back. Every night was a movie night. Every day was a gaming day. It certainly was thrilling; to be able to bear that much in this small little miraculous device. There is normal usage, and there is more. My iPhone was 24/7 on charge. I even use it when going to the bathroom. It was my HAL; my guiding light in what seemed to be an eternal abyss. You think it’s cheesy, but that’s essentially what was happening: I was chained to my bed. One funny incident, I remember, is when I came out of my 2nd surgery. I was determined to finish a book, and my mother had brought me some, but the simple act of holding a book was a challenge in itself, let alone going through pages; any extra weight had me mourning my abdominal pain. So I got to the iBooks Store, right from my iPhone, and bought a book. Holding an iPhone in one hand is certainly a much more manageable task, and flicking through pages was as easy as ever, with just a single touch. A few days passed by and I got halfway through the book when my doctor delivered me the good news: you’re going out today. Both the iPhone & iPad made me bear the pain of being alone. There is solitude, and there is loneliness, and those devices made sure I wasn’t dipped in the latter as much. 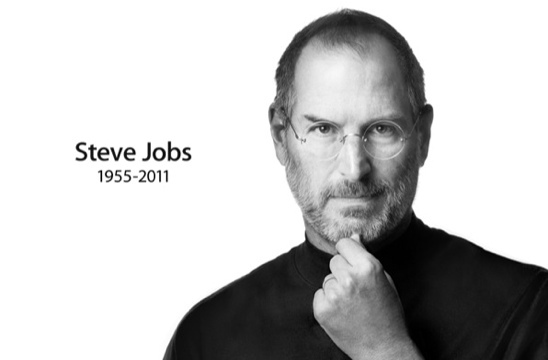 That’s just one story, of one person, who was affected deeply & on a personal level by the inventions of Steve Jobs. You want statistics & achievements? Buy his autobiography. I have always been a fan of good design and of Apple, but it is in 2010 that I developed an attachment to this company. We’re supposed to try and be real. Steve’s inventions changed the course of actions of my days. It changed me. And that is real. Great job writing this,and I hope others will start also looking at the positive side of it as u did and made me do ! !